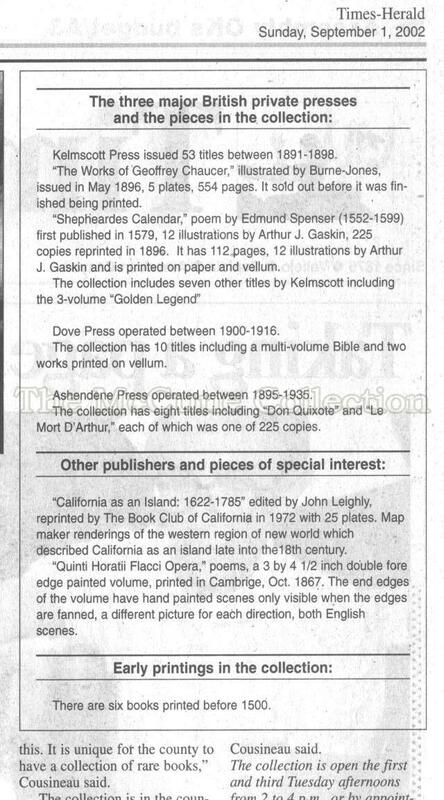 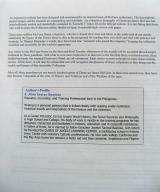 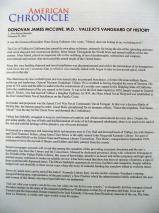 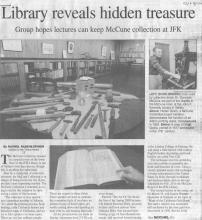 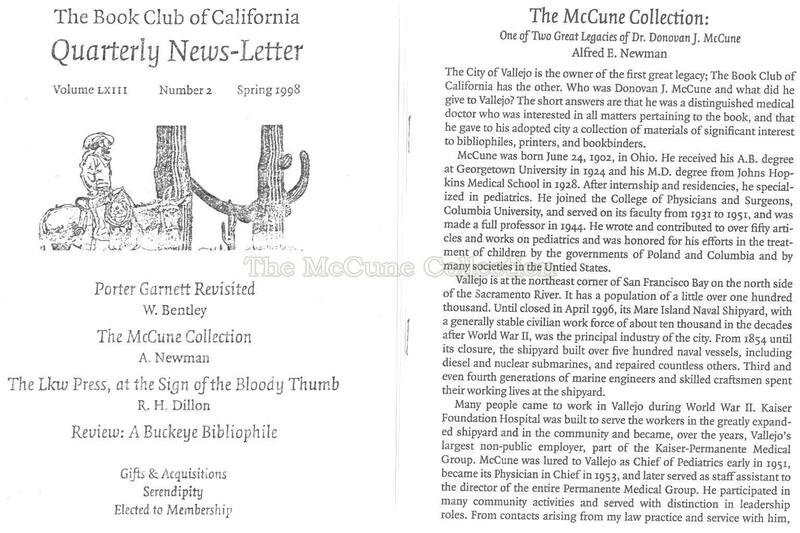 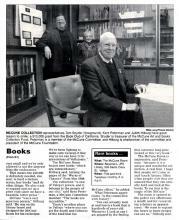 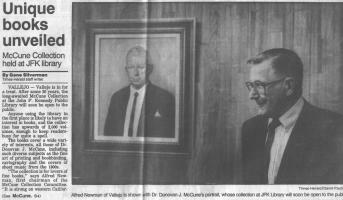 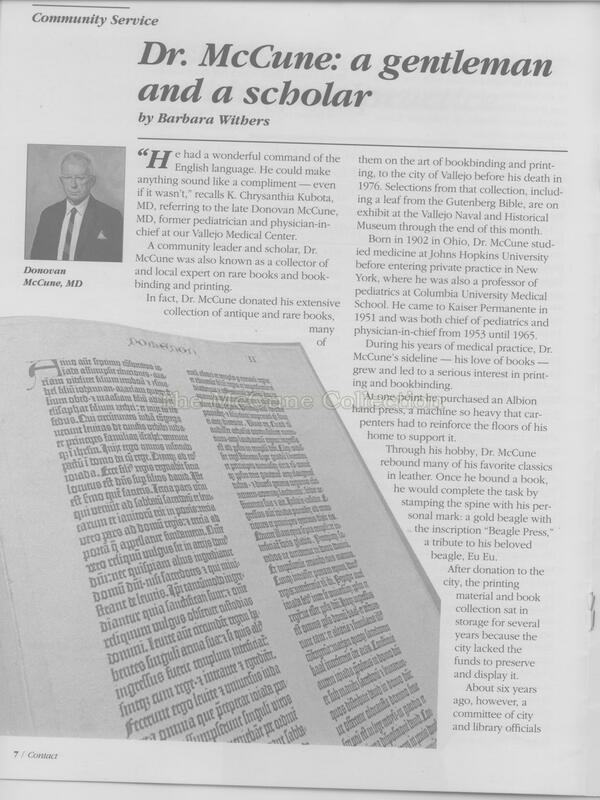 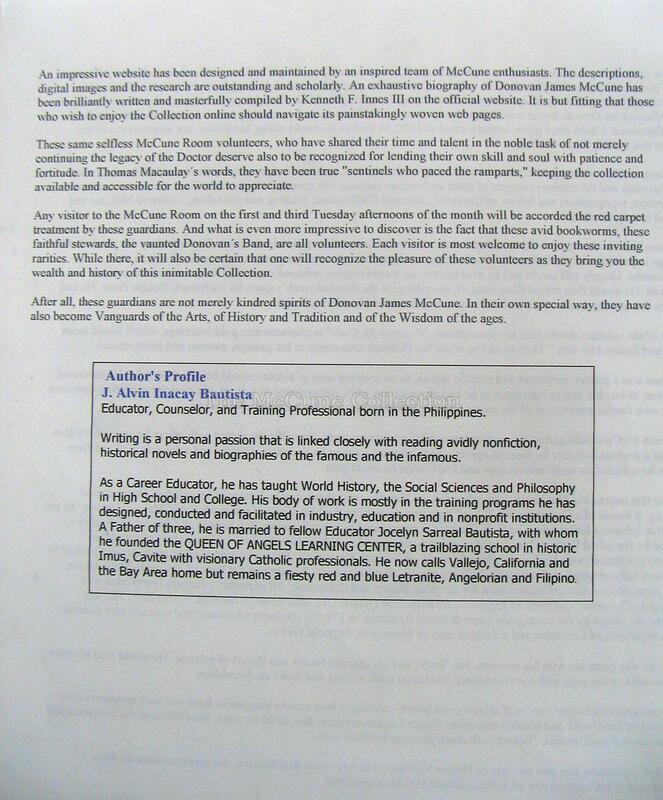 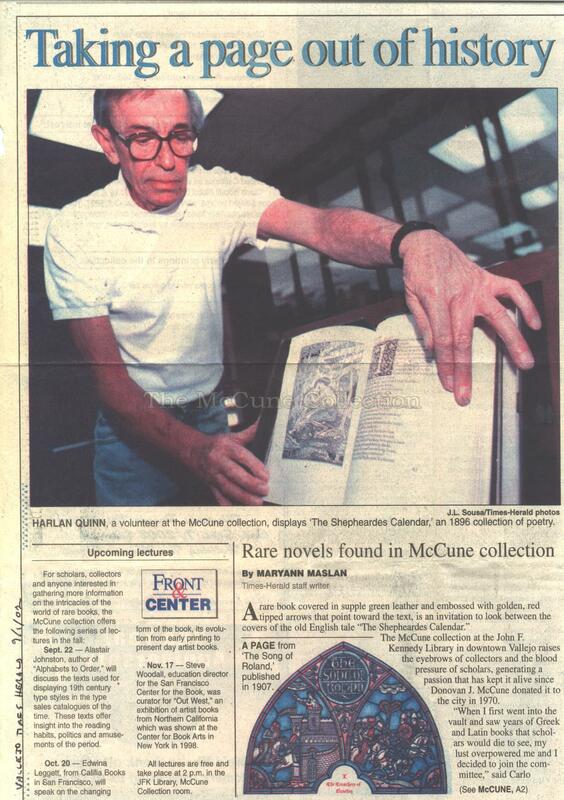 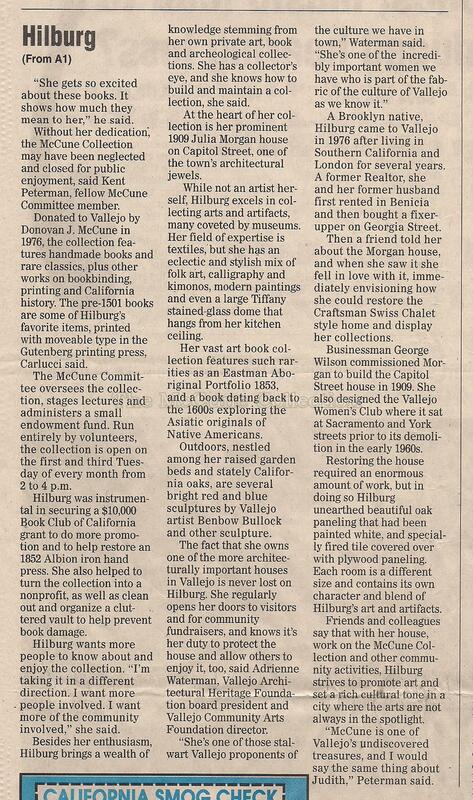 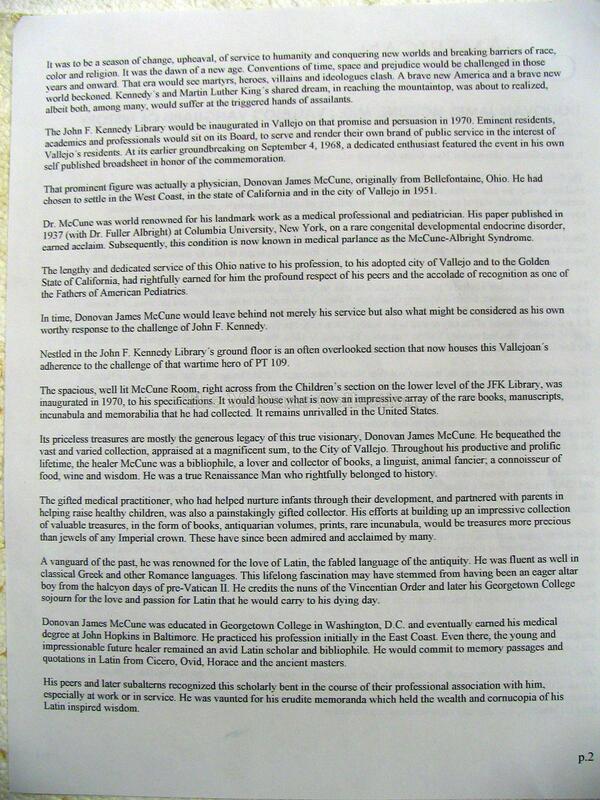 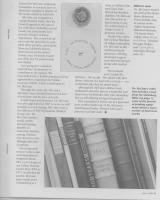 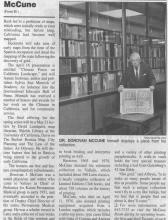 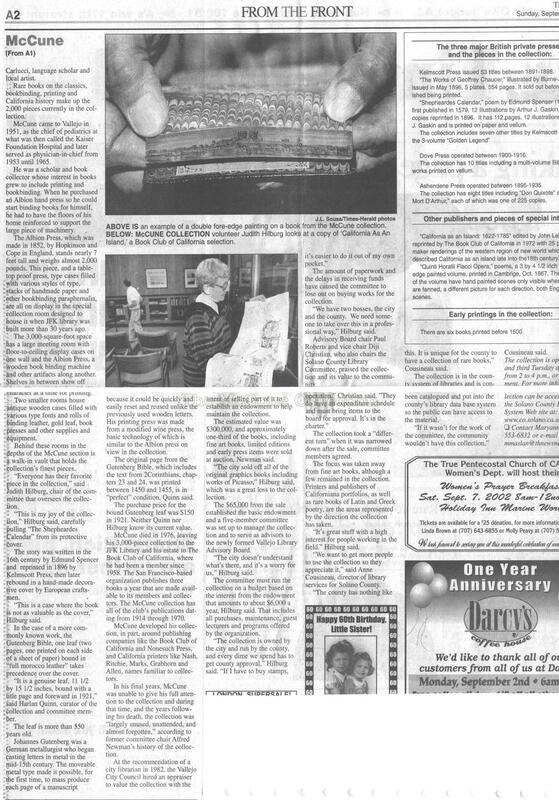 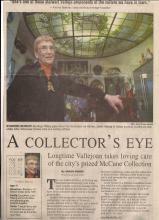 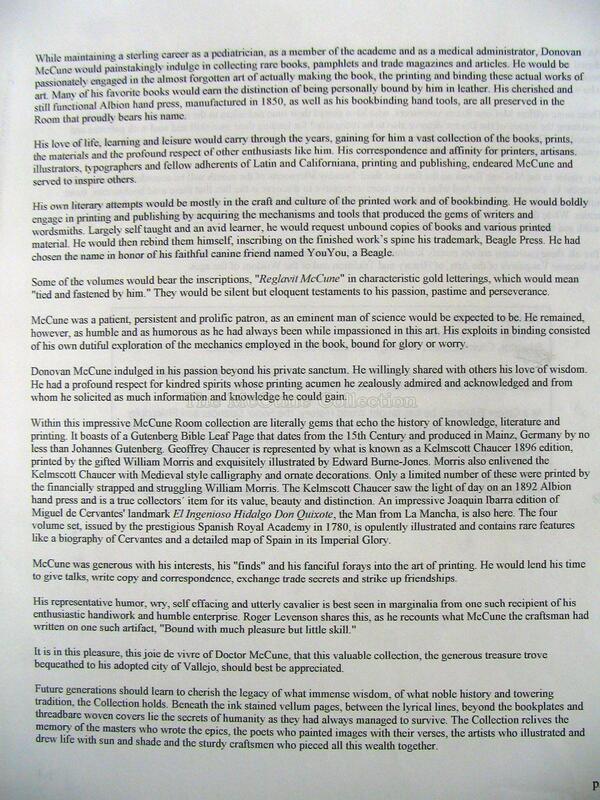 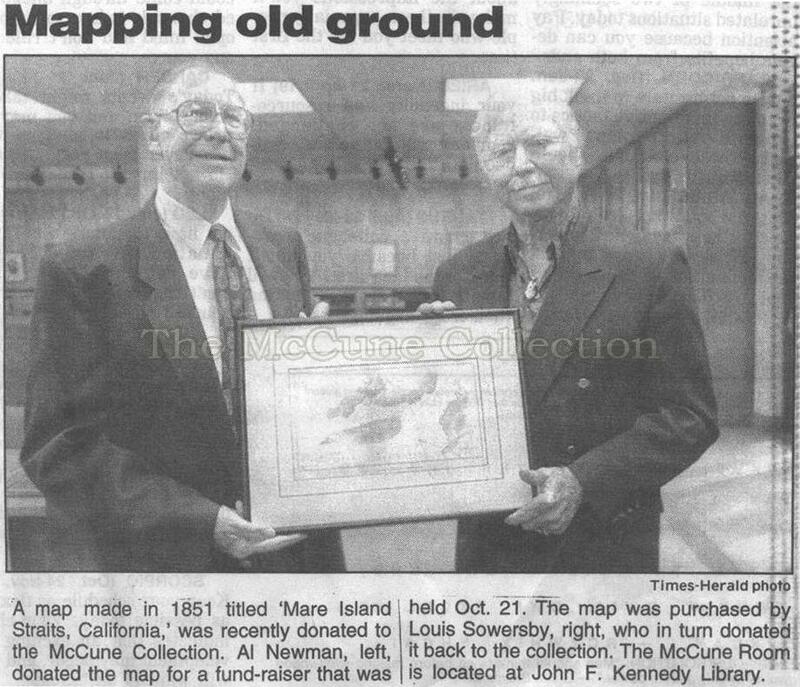 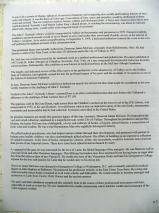 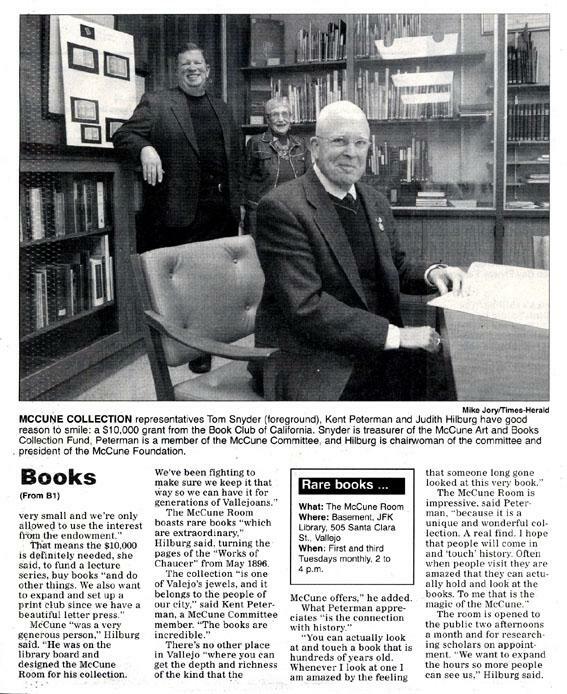 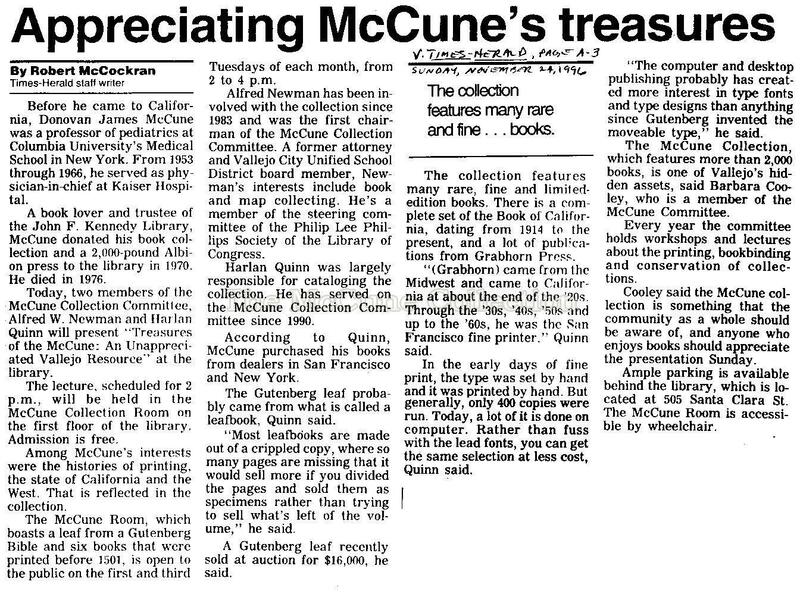 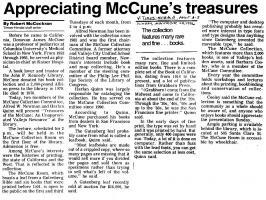 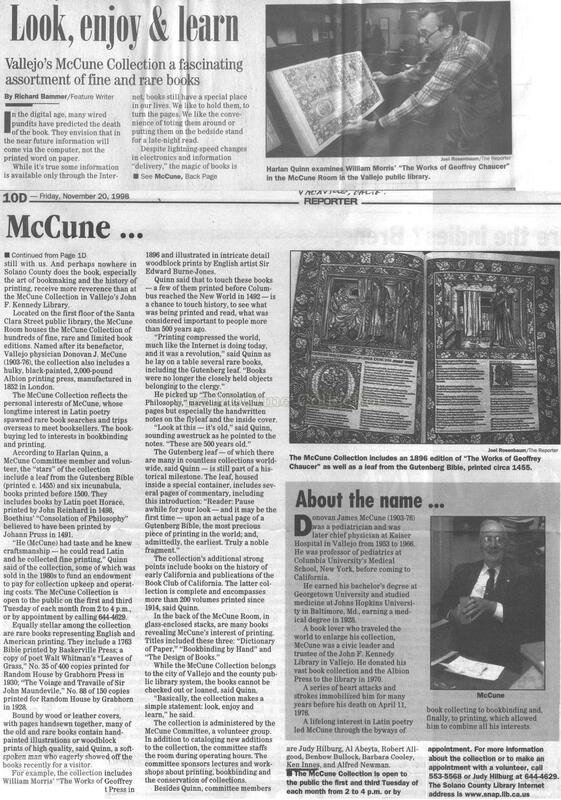 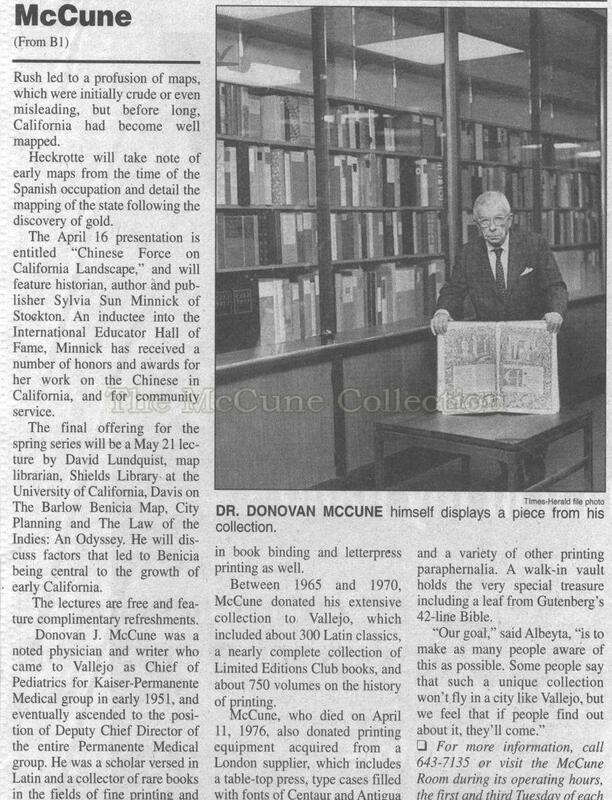 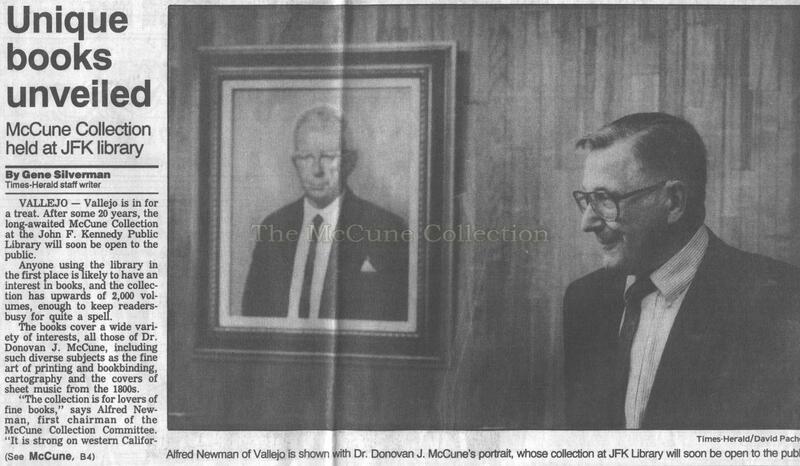 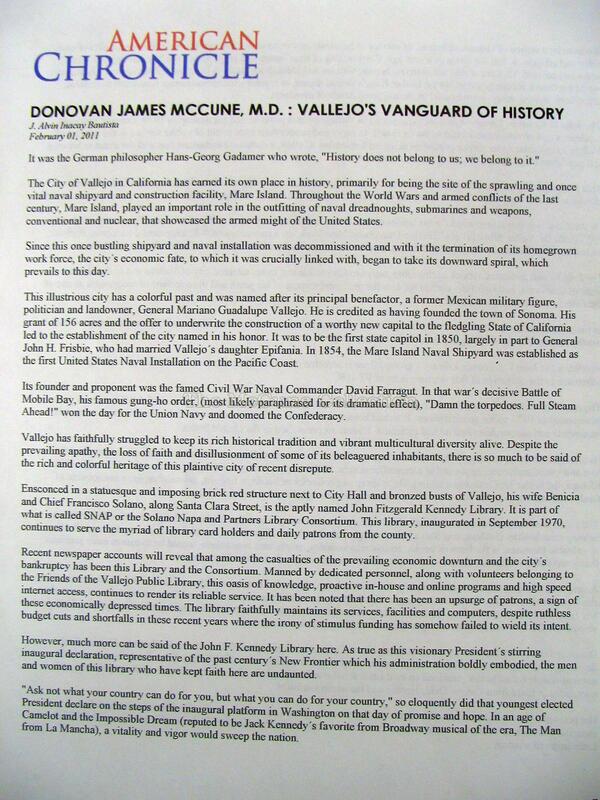 Below you will find various news articles about the Donovan J. McCune and his amazing collection. 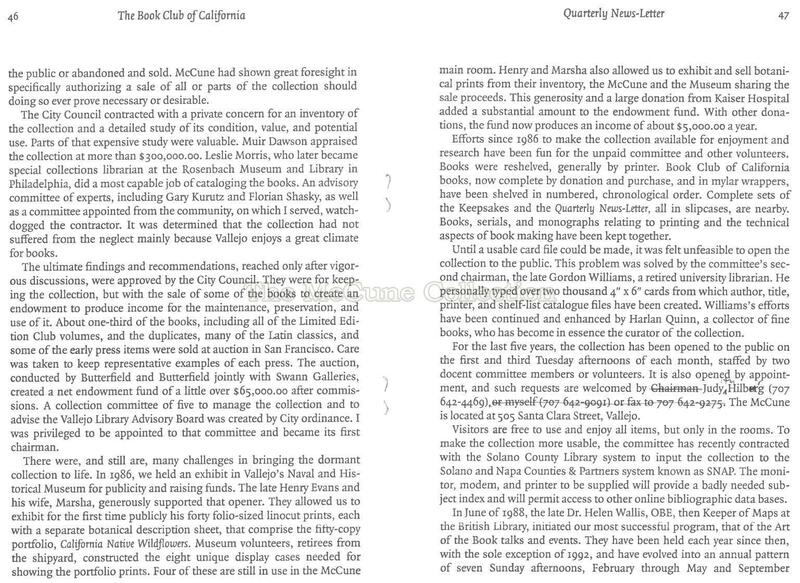 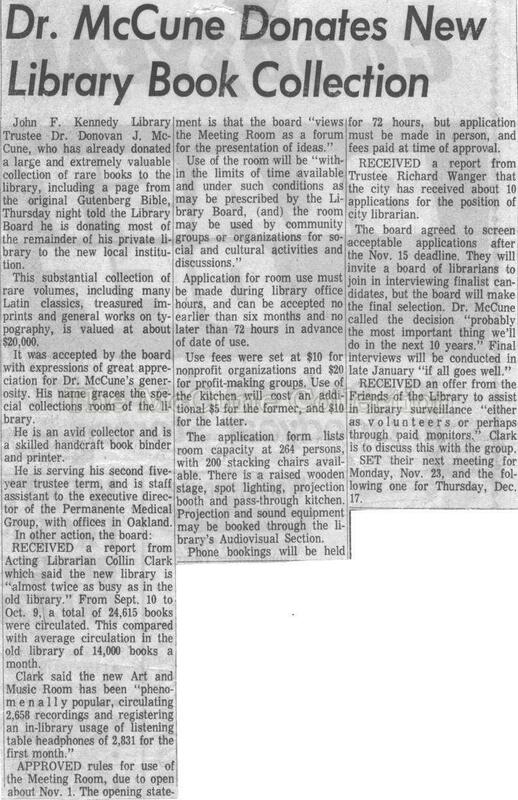 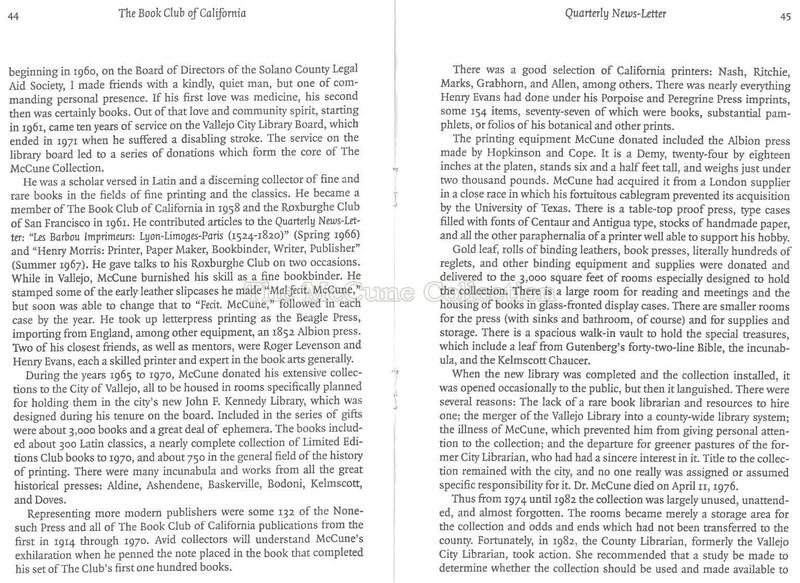 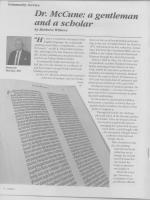 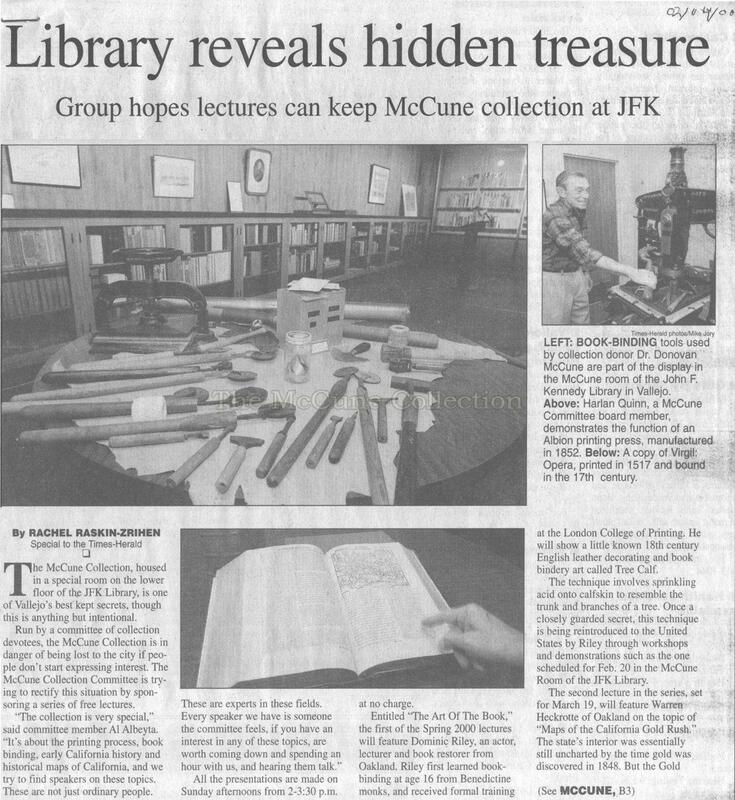 We have scanned in the articles and kept them large enough so that they could be read, which unfortunately might make them take some time to load if you have a slow Internet connection. 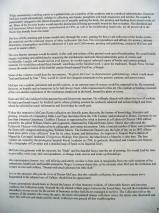 On March 16, 2014, a memorial was held in the McCune Room to celebrate the life of Judith Hilburg. 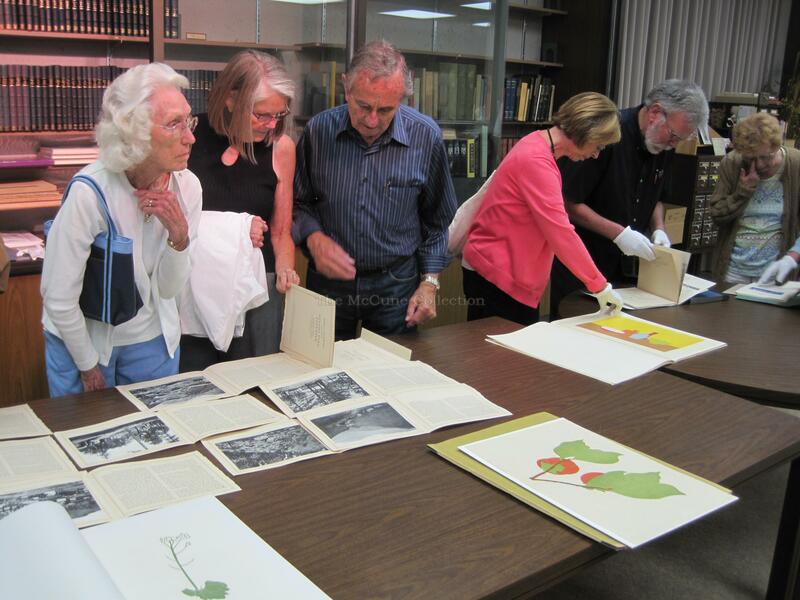 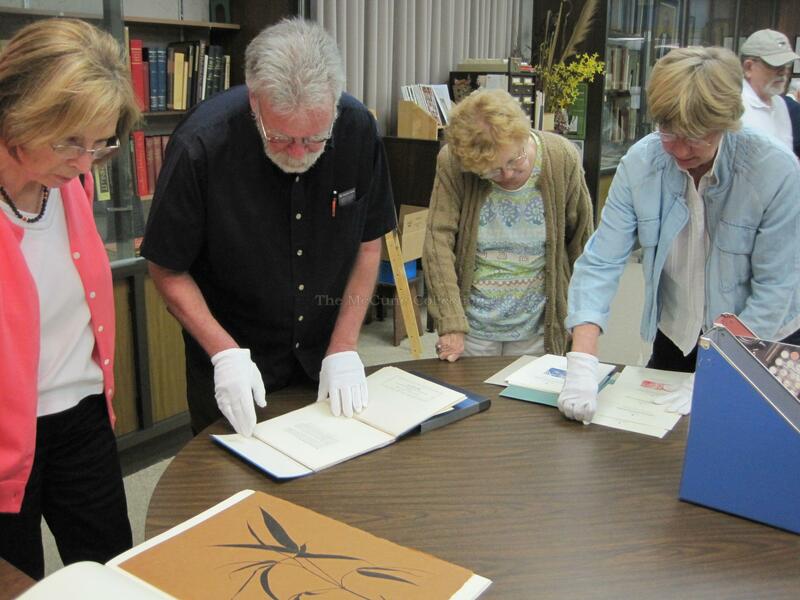 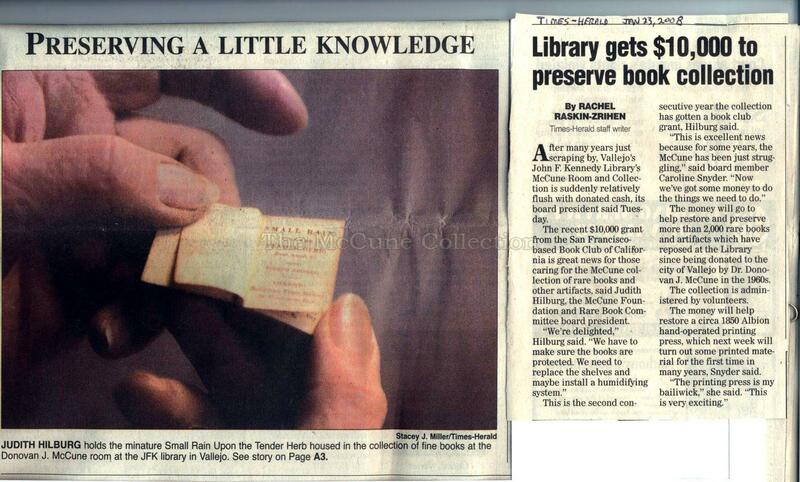 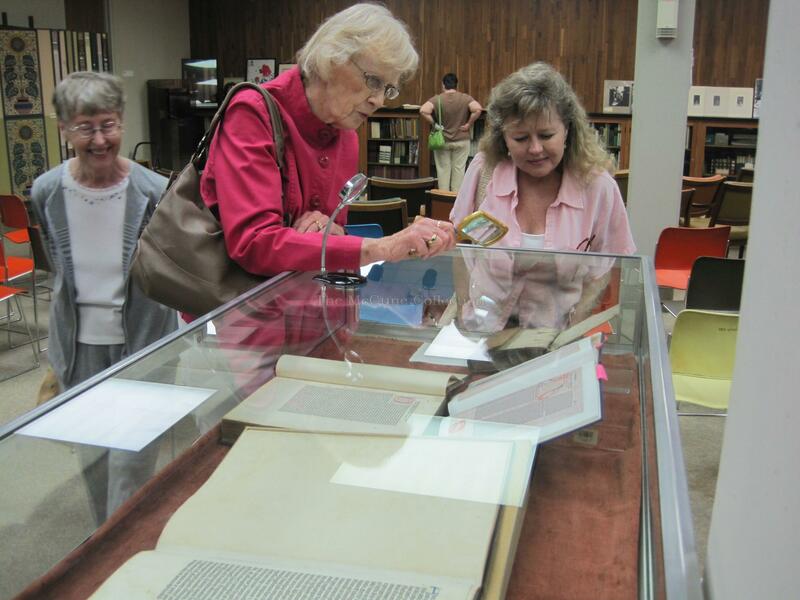 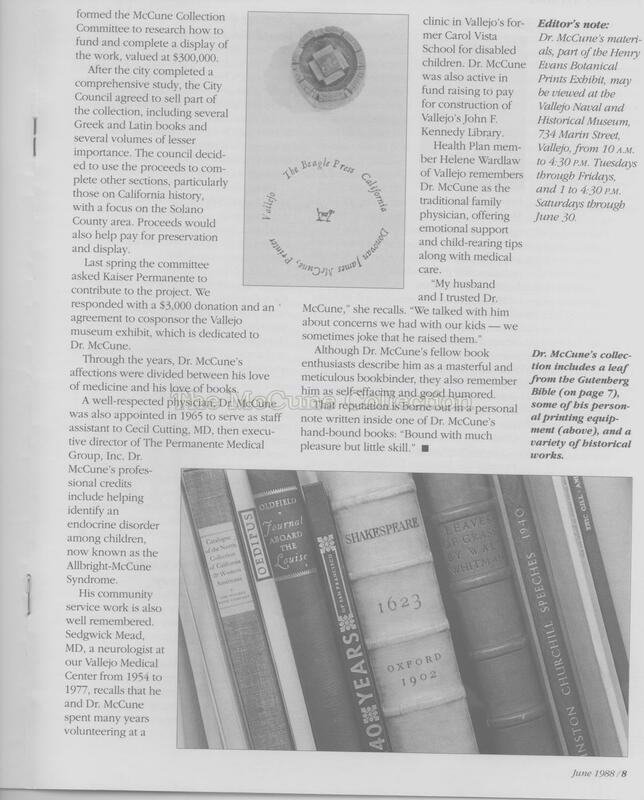 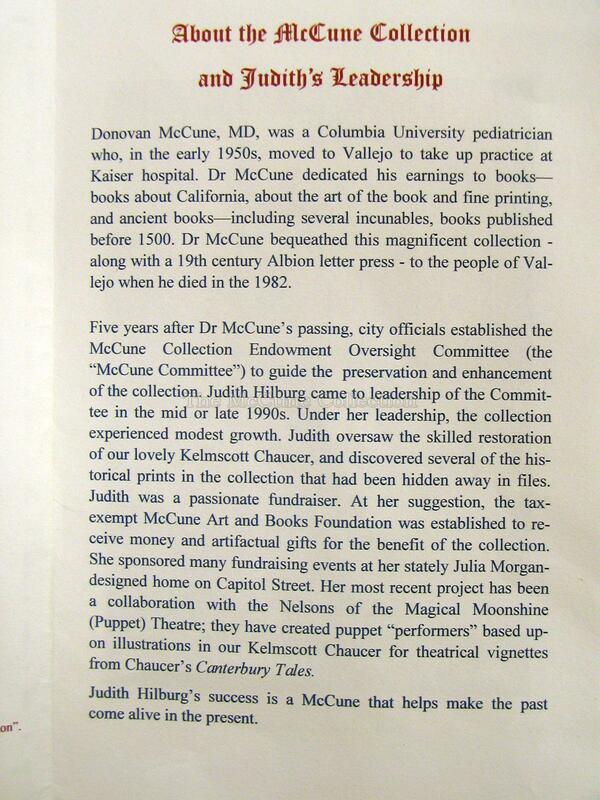 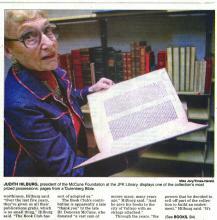 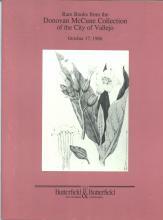 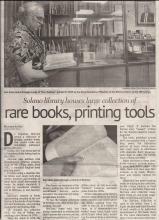 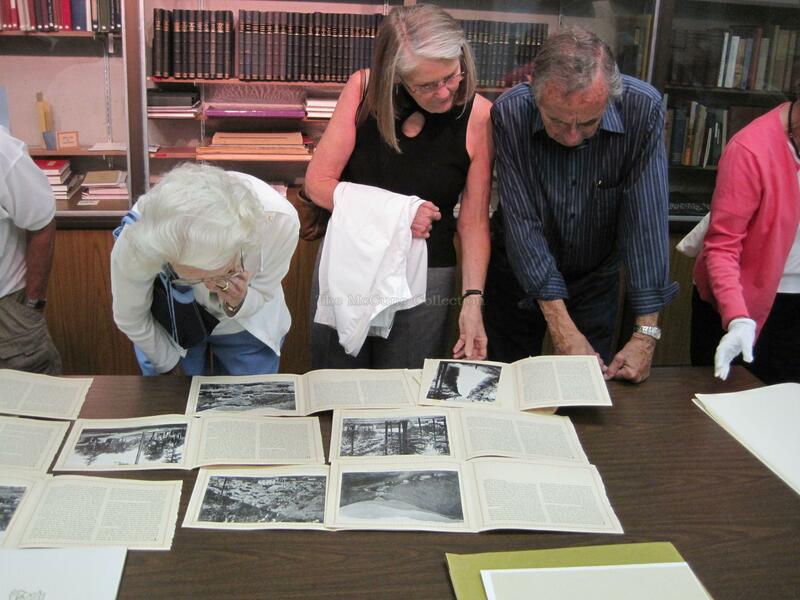 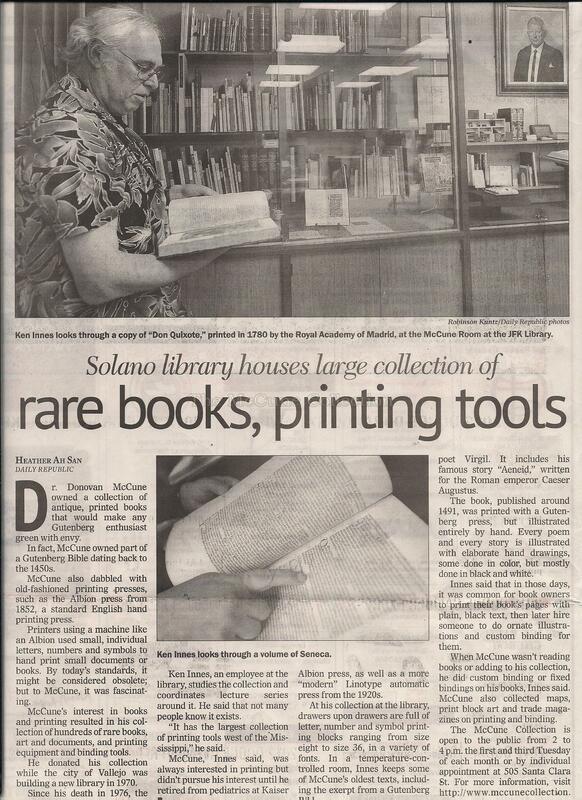 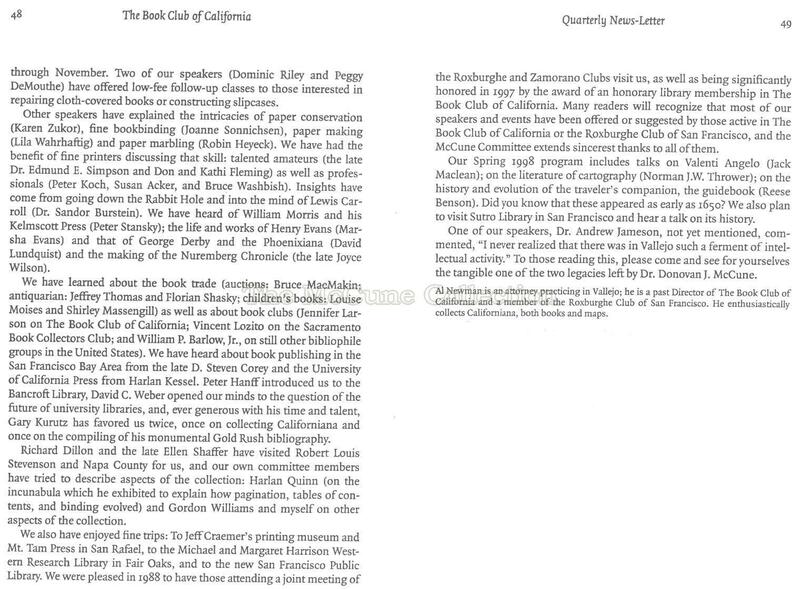 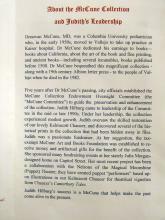 Judith was a long-time member and chairperson of the McCune Rare Book Collection. 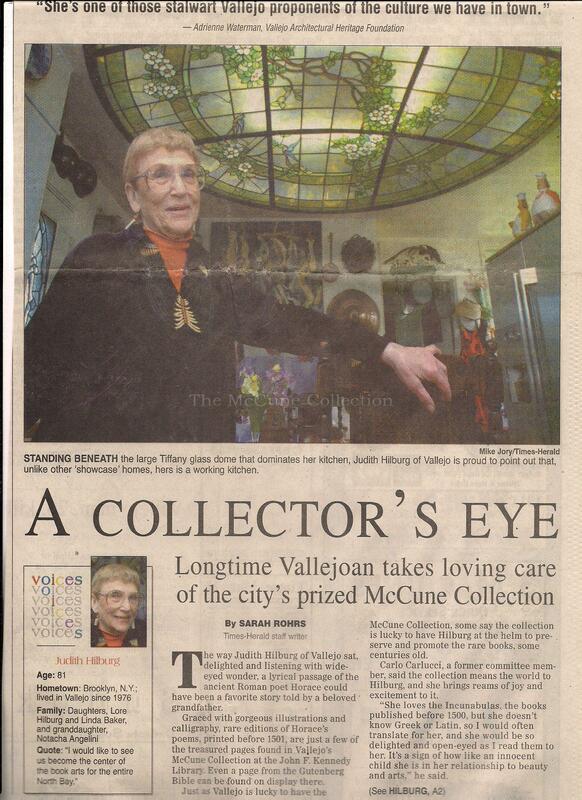 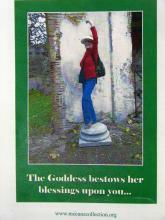 The McCune Collection would like to thank all her friends for their reminiscences of Judith and all the volunteers who helped put together the memorial.